It’s been 12 months of real accomplishment for the Civil Service, made possible by the unstinting hard work and expertise of civil servants around the country. 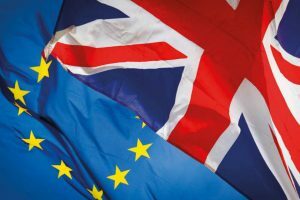 Not the least of the achievements was in helping to move forward the process of the UK’s withdrawal from the EU – the Government’s number one priority, and the biggest challenge for the country. Teams across the Civil Service made essential contributions to the triggering of Article 50, which formally began the withdrawal process; the preparations for the introduction of the EU (Withdrawal) Bill in Parliament; and the detailed administrative preparatory work, conduct and successful conclusion of the first phase of exit negotiations. A feature of all this work was the massive collaborative effort demanded of – and produced by – multiple departments, professions and functions to get the job done. The demands won’t be any less in 2018, but the way we have set up to deal with them gives me great confidence that we are more than equal to the task. Civil servants are used to working under pressure to achieve results like these. The unprecedented challenge of Brexit only makes their achievement the greater. The ability of public servants to do their jobs calmly and effectively under pressure of a very different kind – when their own personal safety is at risk – was called on more than anyone would have wished this year. So, I must again pay tribute to the members of the police and emergency services who faced up so fearlessly to the terror attacks in Manchester and London, and dealt so compassionately with their aftermath in caring for their fellow citizens. As a Civil Service, we also prepared for a General Election and welcomed a new government. This is always a challenge, no matter how many times we’ve tackled it. On this occasion, it came at the same time as we were dealing with the terrorist atrocities and, then, shortly after, the appalling tragedy of the Grenfell Tower fire. These were exceptional events, but our essential function, supporting the elected government’s policies and maintaining public services was carried out as usual. I was particularly pleased to see the enormous amount of hard work – and real progress – in areas that I have made my own personal priorities as Head of the Civil Service if we are be a truly 21st-century organisation. In our new Diversity and Inclusion Strategy, with a strong focus on representative diversity, we set out how we plan to become the UK’s most inclusive employer by 2020. We also made a new commitment on health and wellbeing. All part of making the Civil Service a great place to work, where everyone feels able to be themselves, respected and supported to give of their best. 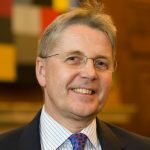 The Civil Service is undergoing big changes in the way it works, to become more efficient and effective in the delivery of services, while responding to some of the biggest challenges in its history. In this context, the results of the annual People Survey, with improvements in cross-Civil Service benchmark scores in most areas, were really encouraging. The overall employee engagement score of 61%, was the highest ever. It will be important to sustain these improvements, particularly in the score for ‘leadership and managing change’. This showed the biggest rise among the nine main themes, at a time when the ability of Senior Civil Service and leaders at all levels to take us through the changes in an inclusive and empowering way is more important than ever. 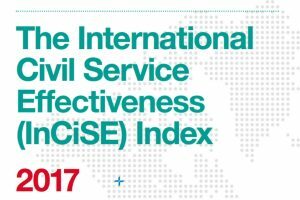 In September, InCiSE, the first international index of civil service effectiveness, ranked the UK Civil Service fourth in the world, with particular strengths in policy-making (ranked first), regulation (second) and tax administration (fifth). Perhaps more importantly, the index indicates where we are less strong and what we might learn from other civil services. We are already putting our weight behind improving capability in vital areas including digital, commercial and project management. More than 900 civil servants have now passed through our Commercial Assessment and Development Centre, providing additional development support for individuals with real potential. The Projects Leadership Academy has trained more than 300 senior project leaders and seen experts in project delivery and finance deployed to major infrastructure projects like Crossrail. And up to 3,000 civil servants a year are passing through the Digital Academy, acquiring the skills they need in digital, data and technology to design public services around what users need from them. No matter what the pressures, I’m committed to ensuring that learning and development and building the capability of the Civil Service more generally are not squeezed out. On the contrary, we must continue to prioritise and invest in this activity over the period ahead. The annual Civil Service Awards and monthly ‘A Brilliant Civil Service’ Awards are just the most visible evidence of the fantastic work you’re already doing. I want to thank you for everything you’ve done in 2017. You should all be proud of what you’ve achieved, and proud of being part of the brilliant Civil Service we’re creating. 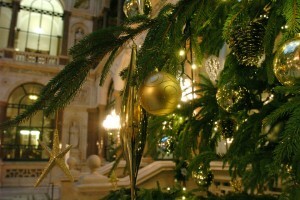 Last, but not least, it’s important that we spare a thought for – and express our gratitude to – everyone at home and abroad who will be working over the Christmas and New Year period. Unlike the majority of us, who will be spending time with family and friends, thousands of UK public servants will be on duty to ensure that we remain safe, our borders secure, and that vital public services continue. I wish everyone a very happy Christmas and look forward to 2018, confident in our ability to rise to the challenges it has in store. Thank you for you praising comments. But - if we have all done so well why is our reward so low? If we are to be a truly 21st Century Organisation then when are we going to start getting 21st Century pay deals?